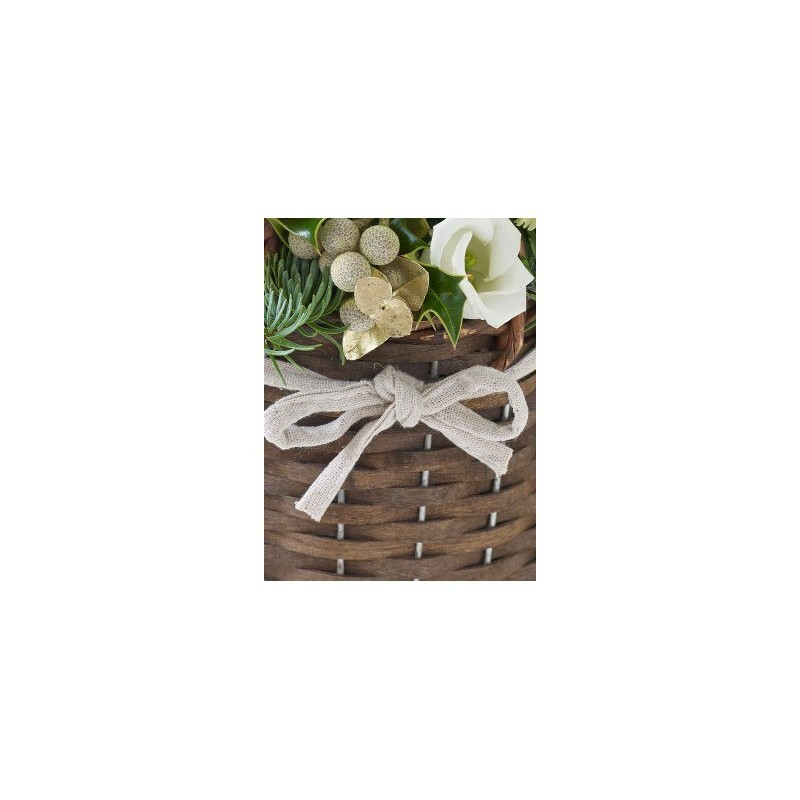 The winter season may be upon us but it’s still possible to bring a touch of outdoor freshness into their home with this pretty petite basket in cool shades. 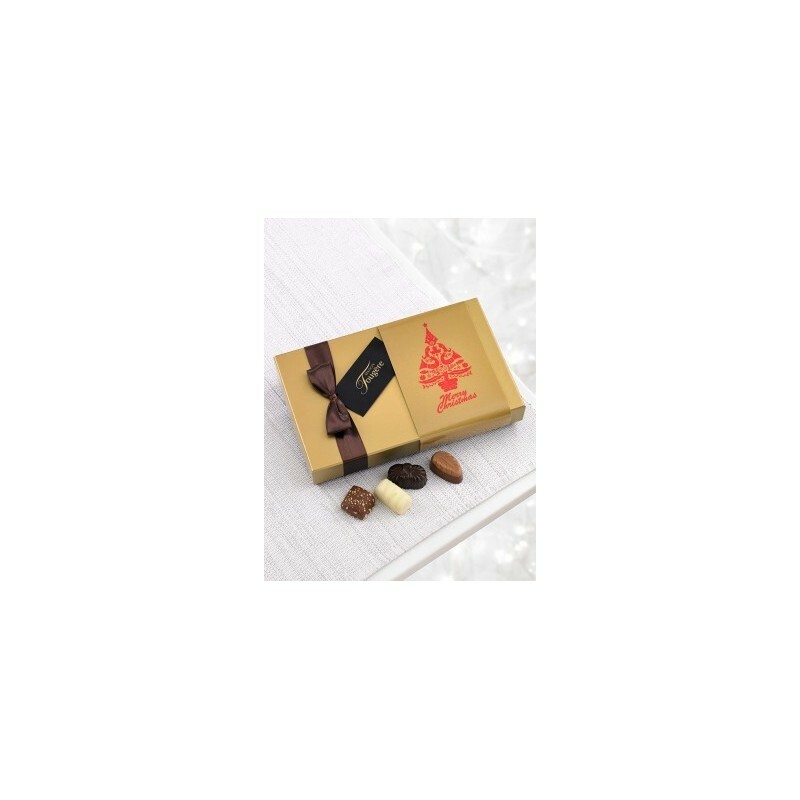 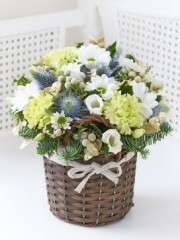 Our selection of delicately detailed flowers is complemented with seasonal holly and spruce and gold finishing touches. 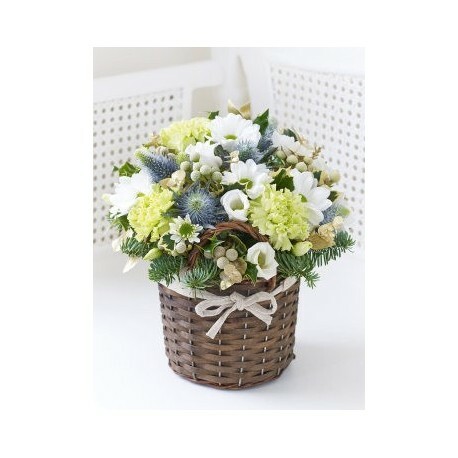 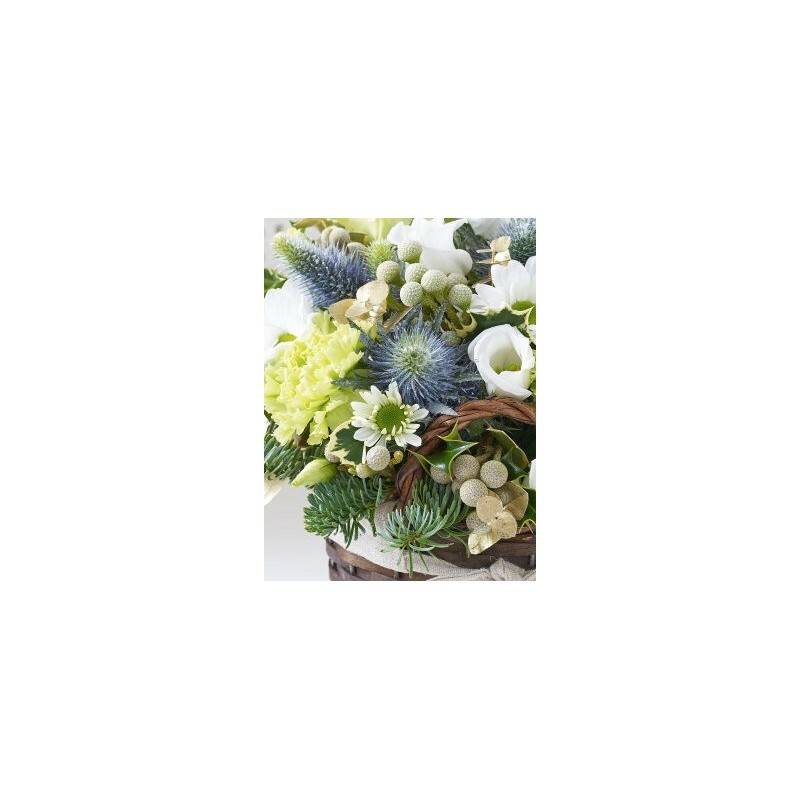 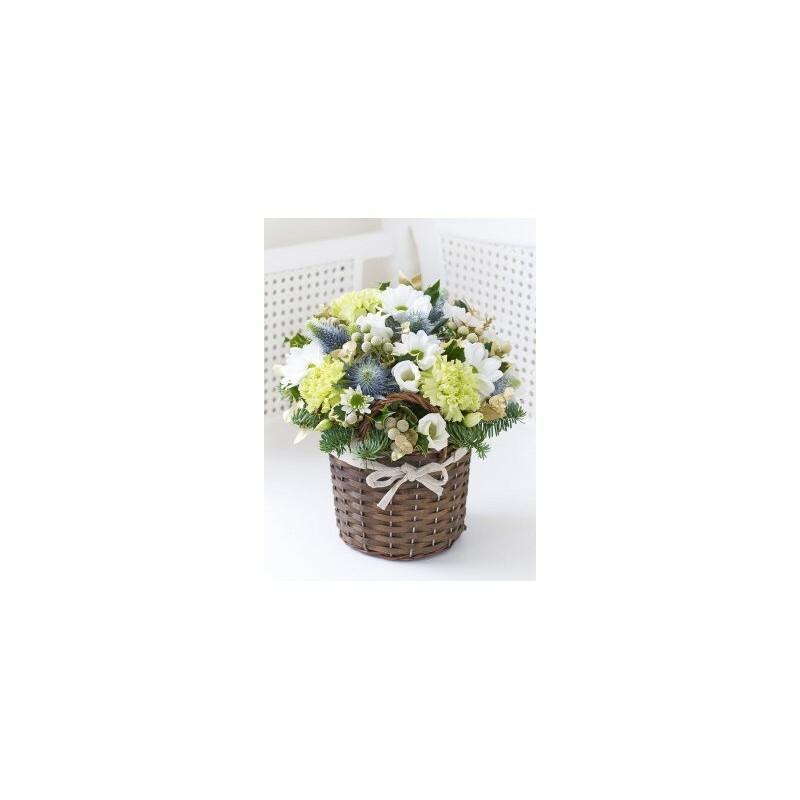 Featuring 3 green carnations, a blue snowed eryngium, a white lisianthus, a white spray chrysanthemum and 2 grey brunia with holly, gold eucalyptus and blue spruce presented in a rich brown petite basket with jute trim.